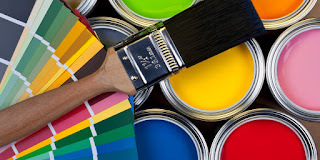 painting is a quick and cheap way to give an old room a breath of fresh air or to make your house more sellable if you are putting it on the market. 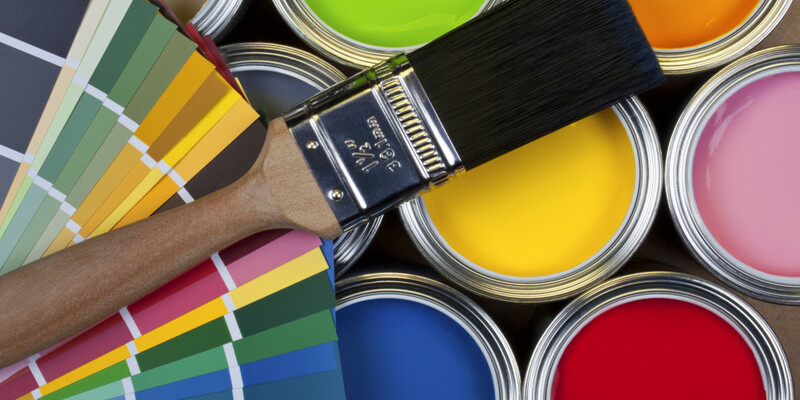 Find out all you have ever wanted to know about selecting paint. The glossier the paint, the easier it is to clean up. If you have small children and the room you are painting has high traffic, like in a playroom, or tends to get grease on the wall such as in a kitchen, opt for high gloss sheen as you can easily wipe the wall down with a damp sponge. This will however make blemishes and imperfections in your wall more apparent and in rooms such as living rooms, could give off an unpleasant shine. High gloss is also great for trim and will give the trim a nice finished look, complementing the flatter sheen of your walls. Semi-gloss would also be a good choice for kitchens and baths as well as trim providing you with ease of wash-ability and less shine than the gloss. It is also slightly cheaper than the gloss finish and is a very common alternative. Satin sheens have a satiny smooth finish to them and could also be used in kitchens, baths and hallways. This may be a good choice if you really want some gloss and paint that can clean easily without the shine of a gloss. If you have walls with lots of imperfections, select a flat or matte paint. You can usually get away with one coat of paint with a flat. The downside to this paint is that it does not stand up well to a good cleaning and does tend to show dirt more so choose this for rooms that will not get lots of fingerprints and dirt on them. Probably the most popular sheen is eggshell, which hides imperfections like a flat does but is easier to wash, so more durable and smoother to the touch. I recommend this for most rooms as it seems to have the best of both the flat and glossy worlds. If you are in the process of selling your house, I recommend selecting a white or off-white color as the choice for walls. This will allow the buyer to easily cover the wall with their choice of color and will give your rooms a brighter and clean appearance. 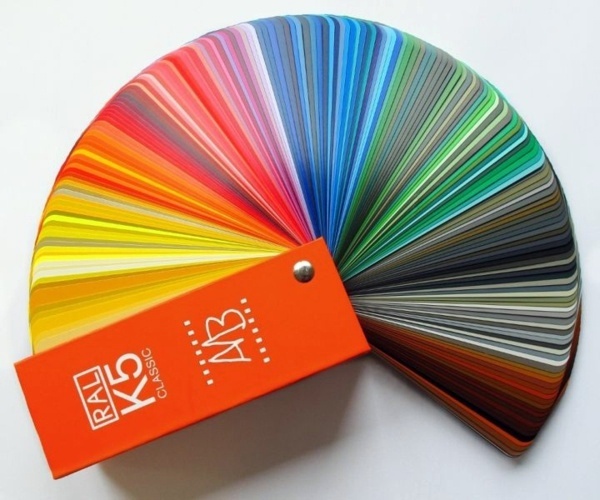 However, you should take full advantage of the hundreds of paint selections and brochures at your local paint store as well as talk to a salesperson about the various color schemes for the look you want. 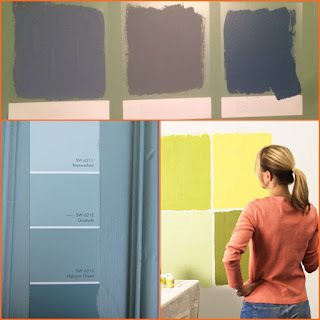 You can change the feel of any room in your house with a little planning and some color, varying the shades for a certain look or feel. 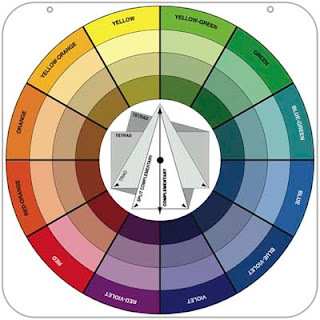 A good rule of thumb is to remember the color wheel. We all learned about the primary colors in school - red, yellow and blue. These are on the color wheel at 12:00, 4:00 and 8:00 respectively. Combining any of these will give you a secondary color (i.e. purple, orange). Colors near each other on the color wheel such as blue and purple are analogous to each other and will allow one color to stand out more. Colors opposite each other on the color wheel such as green and red are complementary to one another and will nicely play off each other. Staying within the same shade of color (i.e. greens) will give you a subtle and soothing look. Painting with cool colors such as blues, greens and purples makes small rooms appear larger and more airy while colors such as reds, yellows and oranges will give a room a more vibrant appearance. You can vary the warmth even with a red or yellow by choosing muted shades of those colors such as pink, peach or a buttery yellow. Warm colors have cool ones as their complementary colors while cool colors have warm complements. Shades are either pure or vibrant, muted (which are less intense than their vibrant counterparts) or shaded (the darker colors in the same color scheme). You can choose to stay within the same shade and use a monochromatic approach such as select a variety of shades of blue for subtle color that tends to be soothing. This tends to look good in a bathroom or a bedroom if you want the feeling of calmness. Just choose your favorite color and overlap the shades. For example, select a darker color for the wall and then another in the same color scheme but different shade and slightly lighter for the trim. Your curtains, towels or bedding as well as accessories such as candles can be varying shades within the same scheme. You can also layer the colors by selecting a lighter green as the basecoat and then do a faux paint with a darker green overlay. Light color choices such as blues, lavenders, pinks and soft yellows are great choices for a romantic feeling of tranquility and restfulness in a room. If you are looking for a calm ambience in your bedroom, choose lighter shades of either cool or warm colors. Use different textures in your bedding and accessories to make the room even more appealing. Don’t hold to the old rule of one shade and one texture. You will be pleasantly surprised at the effects just changing textures and colors can have on a room. Colors such as sage can turn a kitchen quickly into one of comfort and shades of buttery yellows in a kitchen will lend to that feeling baked goodies brings. Shades of powdery blue also tend to yield feelings of tranquility. Neutral colors offer elegance and flexibility within a room. Neutral colors are no longer simply white or beige. You can turn a simple living room into one of elegance by selecting varying shades of neutral colors such as almond walls with red toned browns on the trim. You can also add splashes of color throughout the room with a color throw, pillow or vase carefully placed to offset the subtle neutral tones in the room. Again, don’t be afraid to add texture to your accessories. Neutral colors allow you more flexibility in quickly changing the feel to a room. You can easily change the feel of a neutral room by adding different colored accessories or painting the trim a new color. You can choose either lighter or deeper neutral colors and vary the look of the room. Remember, the lighter color you go, the more spacious the room will appear. Varying shades of rust, mahogany or garnet will offer instant elegance and a feeling of earthiness and richness. Think focal point when you are painting a room. You can quickly change the look of any room by adding contrasting colors to the walls and trim or by adding a darker color to one particular wall. You can make a large room look smaller by painting one wall a darker shade. You can also visually expand a room by painting the walls a darker color and the trim a lighter shade within the same color scheme, especially if you have a room with detailed trim on the walls. This easy change will make the room pop out more visually and add definite appeal. If you have a room with molding halfway between the ceiling and floor, use two different shades of the same color for a wonderful visual contrast. Highlight any interesting aspect in your rooms with a darker, complementary shade to the one you have chosen for your walls. Visible stairways, especially those in the middle of the room look incredible when painted a darker shade than the walls and gives you a wonderful focal point. 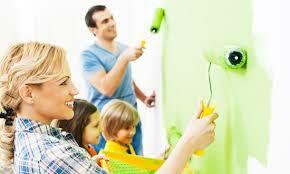 You do not have to spend a lot of money on an interior designer to redo the look of your house. With a little paint and a lot of imagination, you can easily change the look and feel of a room. Look for highlights of your rooms and think of ways to make them stand out. Think of how you want to feel when you are inside that room. Do you want to feel romantic and calm? Choose a light warm or cool shade. Or do you want to feel homey and comforted? Select buttery yellows such as for your kitchen. Do you want a feel of calmness and balance? Select shades of green that are light or moss or sage colored. Do you want to feel energized and express your vibrant personality? Choose vibrant shades. Do you want an air of elegance and serenity to a room? Select neutral shades or cool light greens. The point is, you can quickly feel the way you want with a can of paint or two, a paint brush and a little imagination.